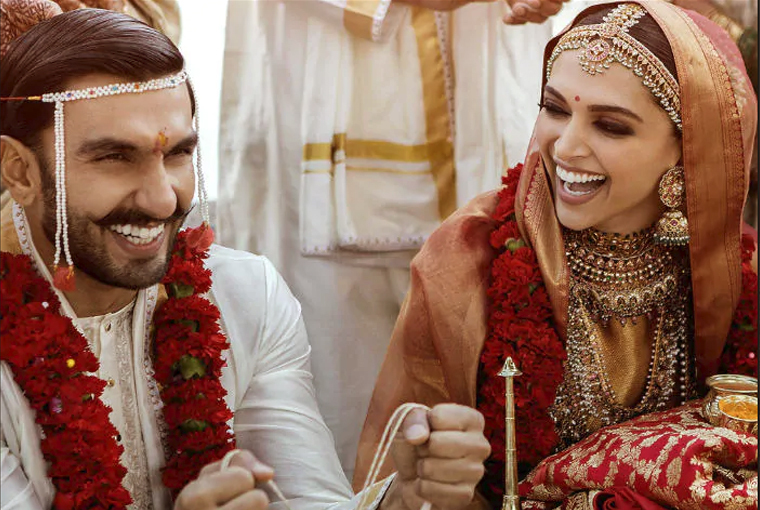 We were totally mesmerized by Deepika Padukone’s traditional bridal look for her both South Indian as well as the North Indian wedding. Even though she got married in Italy but she still maintained her traditional Indian bridal look. The pictures released by them couldn’t give us the look of her entire outfits but her jewelry totally got into spotlight. Here are some details of her beautiful wedding jewels! Let’s get started with that huge ring on her finger. This ring has an absolute ability to shine from miles of distance. That ring is a 3-stone or 5-stone Emerald cut solitaire ring set in platinum that must be nearly 1 Cr! 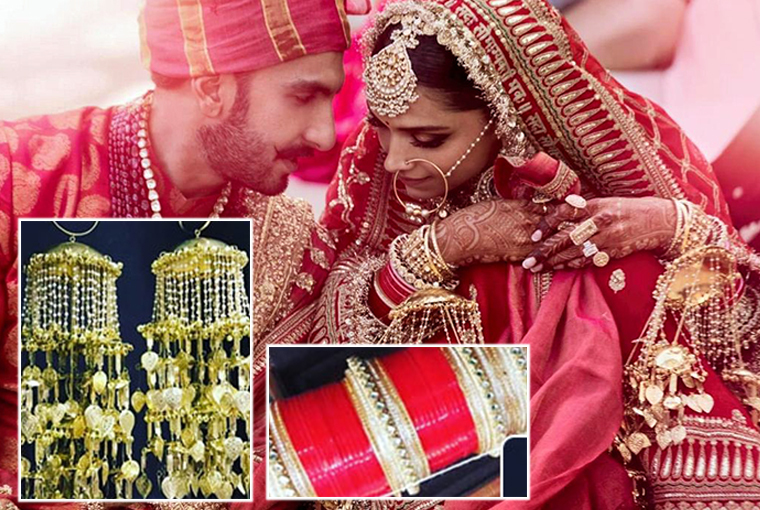 First was her Konkani Wedding… being a South Indian bride, Deepika wore traditional heavy temple jewelry. 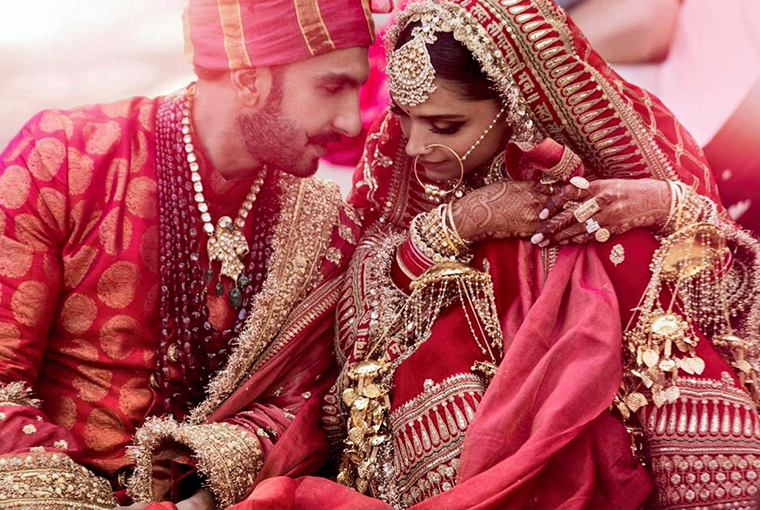 These breathtaking pieces were by Sabyasachi and Deepika wore with golden dangling jhumkas, layers of necklaces and a beautiful traditional mathapatti that made her look like a goddess! Her North Indian look was spectacular and the key highlight of her look was her personalized dupatta as it had the words ‘Sada Saubhagyavati Bhavah’ embroidered on the border. This is all we know till now… still awaiting more pictures from the wedding just like you all!